Wedding Venues and accommodation in Derbyshire and the Peak District. The Derbyshire Dales Ashbourne Accommodation Group can provide some beautiful wedding venues and accommodation in Derbyshire and the Peak District. We are often asked can we provide a site for a marquee in order for guests to organise thier own weddings, the answer is yes! 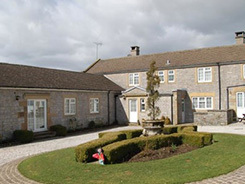 We have several beautiful properties that can accommodate a marquee, each with thier own unique location. Each owner will have their own rules and prices, and will be able to give information on what can be provided on request. As all of our cottages are within a 10 mile radius of Ashbourne they are ideally placed to be able to provide accommodation of all types for any guests attending any wedding in the area. Please contact the owners direct by following the links below, they will be happy to advise you on the suitability of properties and availability.